For a more muted pastel look, I covered the design in vellum. I love the softness it brings to all the ink colors. That vellum really creates that soft, spring feeling. Wonderful! This is so cool!! I LOVE how you created that easter egg. Such a fun technique!! So beautiful! 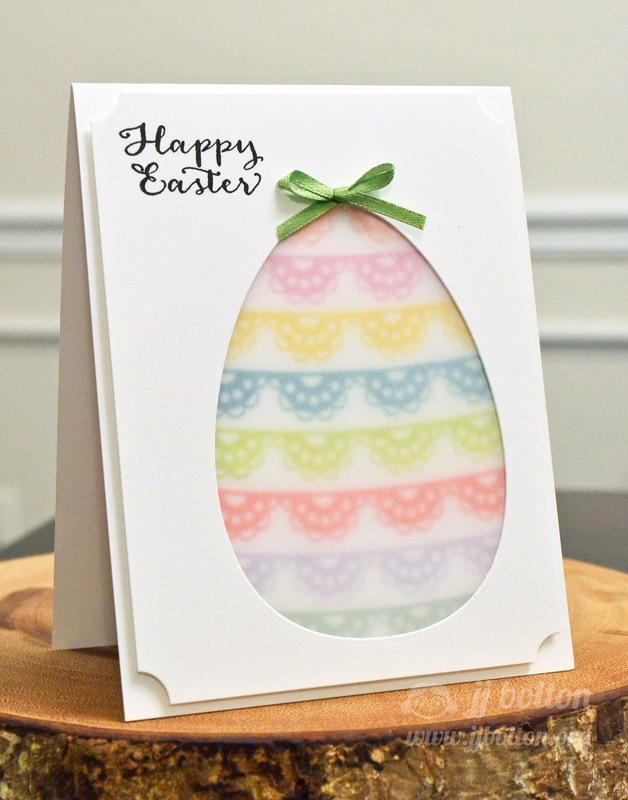 I love the way you used that stamp to create the stripes on the egg! Such a clever idea, JJ! I love how you created your own pattern and placing vellum over it is so pretty! Your little bow is so sweet, too!